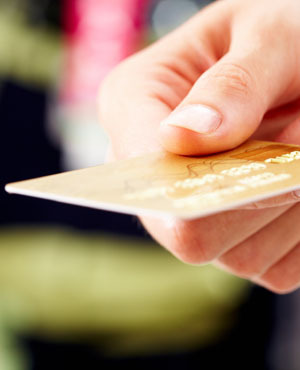 Pretoria - Remember getting your first credit card – super exciting, not so? Doesn’t look so great now with a revolving debt that just mounts up! 1. Budget to pay a set amount every month. As your debt reduces, the minimum amount you are required to repay reduces. This just drags the agony on for years – and is a psychological temptation to spend on the card, as you think, “Hmm, I’m only paying off R500, I can afford a little more spend on the card”. Draw a line in the sand now. Take your most recent repayment and set that as the amount you will pay, without fail, every month until the debt has all gone. You’ll be amazed at how fast it shrinks! If you have any slack in your monthly budget (and fair enough, most of us don’t), raise your monthly repayment just a little for an even quicker route to being debt-free. Bump up the repayments on that one, and don’t use it at all; you’ll feel great when it’s paid off, and will have more vooma to face the next card. If you have any savings accounts, you’d be better off using the money mouldering away in there earning nada in interest to pay off your credit card, which is costing you in interest. But don’t touch savings you’ll need to live on – like retirement annuities. You can also use any other extra cash that comes your way: bonuses or gifts, for example. And look around your home to see if you have anything you could easily sell on a site like gumtree: the bicycle or treadmill you never use could boost your financial health!